[en] Milton Yogi is an ophthalmologist surgeon and chief of the Division of Cataract. He is also an associate researcher in the Department of Ocular Bioengineering at the Federal University of São Paulo (UNIFESP). 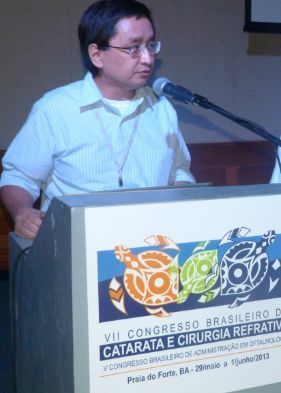 [pt] Cirurgião oftalmologista, chefe do Setor de Catarata e pesquisador associado do Setor de Bioengenharia Ocular da Universidade Federal de São Paulo (UNIFESP).